I'm married and have two children. Both of them are boys. I love animals and I currently have one cat and one dog, three Mystery Snails, several Ramshorn snails, Ghost Shrimp and a female Betta. Container gardening is a hobby of mine that brings much joy to my life. During the summer/fall I try to get out camping. Nothing like getting back to nature :) Our family camps in tents. We try to camp mainly in provincial parks or conservation areas. I'm now a fan and advocate of both, cloth menstrual pads and the Diva Cup. No more disposable sanitary products for me :) These products are a life changer and I definitely recommend them! I became a lacto-ovo vegetarian over the summer and I hope to try out new products that are better for my body and the environment. 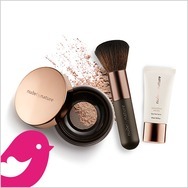 I'm curious about these type of products and products that are vegan. How often do you get your hair colored or highlighted? 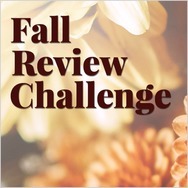 New ChickAdvisor Opportunity: THE FALL REVIEW CHALLENGE! 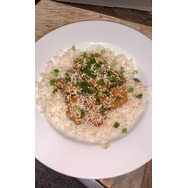 Gardein Mandarin Orange Crispy Chick'n Recommended? You Betcha! 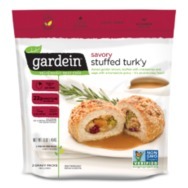 gardein stuffed turk’y Recommended? You Betcha! 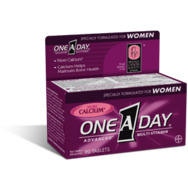 One A Day Women's Multivitamin Recommended? You Betcha! Kiss My Face Active Life Deodorant Recommended? You Betcha! 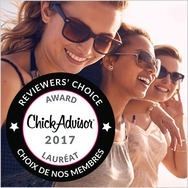 Dove Powder Anti-Perspirant Stick Recommended? You Betcha! Vitafusion MultiVites Gummy Vitamins Recommended? You Betcha! McCain Superfries Crinkle Cut Recommended? You Betcha! McCain Sweet Potato Plank Cut Fries Recommended? You Betcha! McCain Extra Crispy Spicy Straight Cut Fries Recommended? You Betcha! Two-Bite Brownies Recommended? You Betcha!